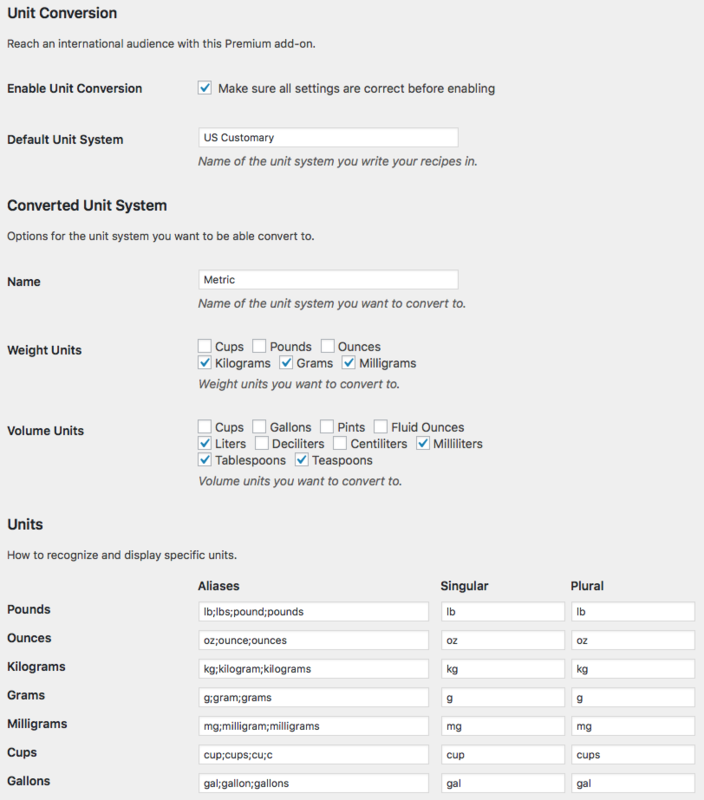 After installing the Pro Bundle, go to the WP Recipe Maker > Settings > Unit Conversion page to set up the Unit Conversion feature. We integrate with an external API so the plugin knows that 1 cup of water is not the same quantity as 1 cup of rice in metric units. After calculation you still have full control over the values shown, so feel free to adjust to your liking.